For gamers, having an acarde machine at home is like a dream. Some one went the extra step to create that dream by doing D.I.Y with LEGO! A surprise for you the creator or MOC builder is actually a Lady named Helen Sham!! Now how cool is that? 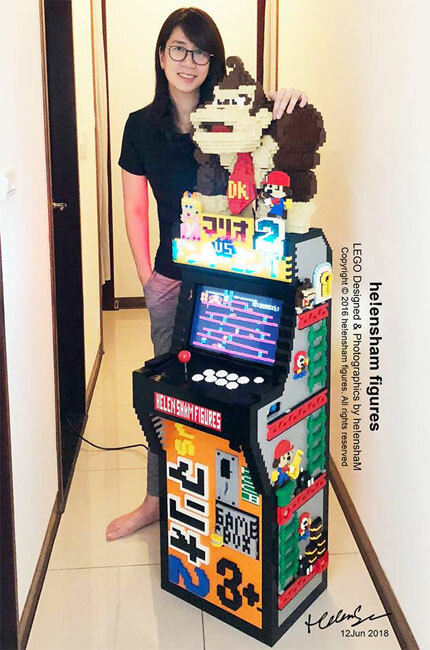 Here is an awesome Arcade Machine with LEGO 15000pcs that weight up to 30kg! Regardless it is having Mario vs Donkey Kong on the external, the actual machine has 4000 games!